Judicial Extern for the Honorable Barbara Jacobs Rothstein, U.S. District Court for the District of Columbia, Washington, D.C. Represented Endeavor Robotics Holdings, Inc. (a leading developer of battle-tested, tactical unmanned ground vehicles and a portfolio company of Arlington Capital Partners) in connection with its sale to FLIR Systems, Inc. (NASDAQ: FLIR) for approximately $385 million. Represented United Flexible, Inc. (UFI), a portfolio company of Arlington Capital Partners and a global leader in the design and manufacture of engineering solutions for the transfer of fluids an gases in extreme environments, in connection with UFI’s auction process and contemplated sale to UK-based Smiths Group plc for $345 million. Represented Gryphon Investors in connection with a majority investment in Transportation Insight LLC, a leading provider of enterprise logistics and transportation brokerage services. 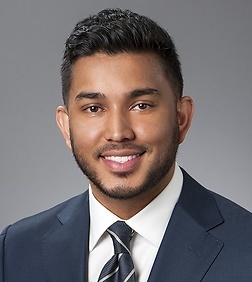 Represented a portfolio company of Riordan Lewis & Haden (a Los Angeles-based private equity firm) in the federal services sector in connection with the acquisition of the assets and operations of an unincorporated business unit of a large publicly traded company. Represented Zemax, LLC, a portfolio company of Arlington Capital Partners and a global leader in optical and illumination design software, in connection with its auction sale to EQT Partners, a global investment firm. Represented Gryphon Investors (a San Francisco-based private equity firm) in connection with its acquisition of Potter Electric Signal Company LLC, a provider of products for the fire safety industry.